Integrative health focuses on the individual’s wholeness encompassing body, mind and spirit as well as all aspects of lifestyle. It emphasizes the therapeutic relationship and makes use of all appropriate therapies – conventional, complementary and alternative. Complementary describes treatments that are used with conventional medical treatment. An example of a complementary therapy is massage. Alternative therapies are described as those used instead of conventional medical treatment. An example of an alternative therapy is homeopathy. 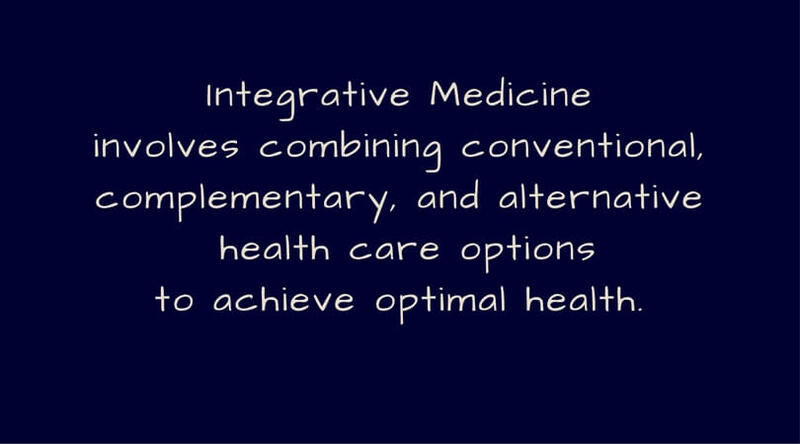 Integrative health is a blend of the best practices from conventional, complementary and alternative therapies. The webpage goes on to describe the philosophies underlying this approach, which have to do with wholeness, patient empowerment, appreciation for the body’s wisdom and healing capacity, individualized approach, self-responsibility of the individual, working on the basis of best evidence, and restoring balance in mind, body and spirit. If a non-mainstream practice is used together with conventional medicine, it’s considered complementary. If a non-mainstream practice is used in place of conventional medicine, it’s considered alternative. True alternative medicine is uncommon. Most people who use non-mainstream approaches use them along with conventional treatments. 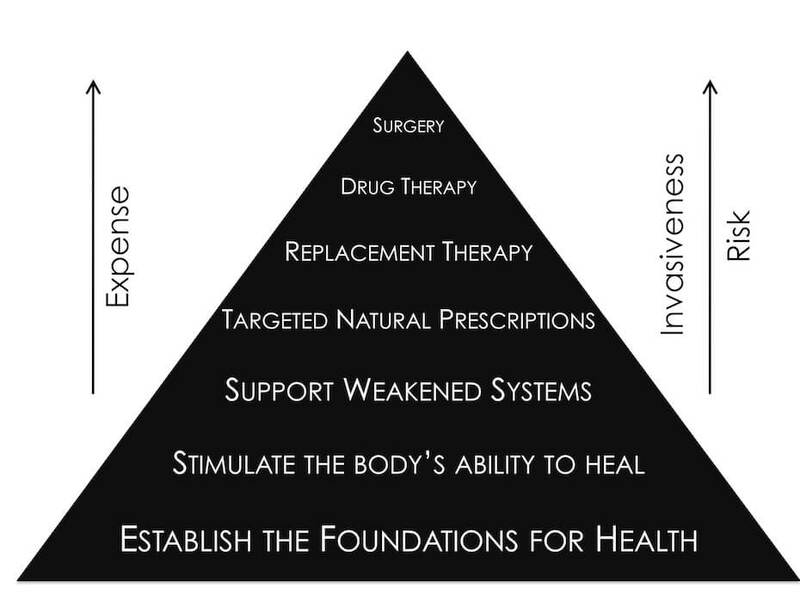 Why would patients want an integrative approach? Dr. King has degrees in both naturopathic and chiropractic medicine, and specializes in homeopathy, which strengthens the body by awakening its natural ability to heal. His view is that when we address the whole person, we get whole-person results. The University of Minnesota has an excellent on-line resource in their center for Taking Charge of Your Health & Wellbeing. Their stated intention is to “provide information for the general public about enhancing wellbeing, exploring complementary and integrative healing practices, and navigating the healthcare system.” Equally important for good consumer information is that they do not receive funding from advertising or displaying commercial content. If you have a particular condition, you can look it up to learn what the conventional treatments are, what lifestyle changes are recommended, and a description of integrative therapies to consider. There’s another section which describes twenty-seven holistic therapies. Some are more familiar and available, such as Naturopathy and Reflexology. Some less so—Tibtan Medicine, Shiatsu, and Osteopathic Medicine. In this short video, naturopathic doctor Jolene Brighten speaks to functional medicine practitioners about the philosophy of naturopathic treatment. Below is a graphic showing the specifics of the therapeutic order. This is from an article by naturopathic doctor Laura Figoski. As you’ve probably gathered from my past blogs, I’m a fan of bringing together everything I can to get well and stay that way. Anyone else? This entry was posted in Understanding the Playing Field, Information, Action & Being Resourceful, All Posts—newest first and tagged personalized medicine, Dr. Pamela Wible, integrative medicine, holistic medicine, alternative therapies, complementary medicine, Dr. Jolene Brighten, Dr. Frank King, Integrative Health Institute, Taking charge of Your Health & Wellbeing, The Therapeutic Order, Dr. Laura Figoski, naturopathy by Laurana Rayne. Bookmark the permalink.